Let us go surfing the sea of big data ! In the morning, I check my smart phone and i pad mini to see what happened during the night. Every time I touch them, data is generated automatically. How many devices such as smart phones and tablets are there in the world? I am sure a lot of data is generated at this moment. It is also noted that FRB, World Bank, IMF and other public institutions make their data available to public through their web sites. In addition, a lot of public data is getting easier to access thanks to the data gathering services. Data is the first key thing to consider when we start data analytics. Therefore, it is very important to know what kind of data is available at your disposal in analyzing data. I have been using a data gathering service called “Quandl”. Quandl is a “data platform“, which enable us to collect numerical data published by hundreds of different sources, and host them on a single easy-to-use website. Currently it can be used for free. Once I obtain the data, I visualize it in order to understand what it means and what the mechanism is behind the data. I use ” DataHero” to visualize the data I obtain. It is easy to produce many kinds of charts and graphs. By “DataHero”, I can produce a lot of graphs by following its instructions, then choose the best one to present what I want to say. It can be used for basic functionality without any fee. If you pay fees, you can get more functionality such as a tool to combine multiple datasets. 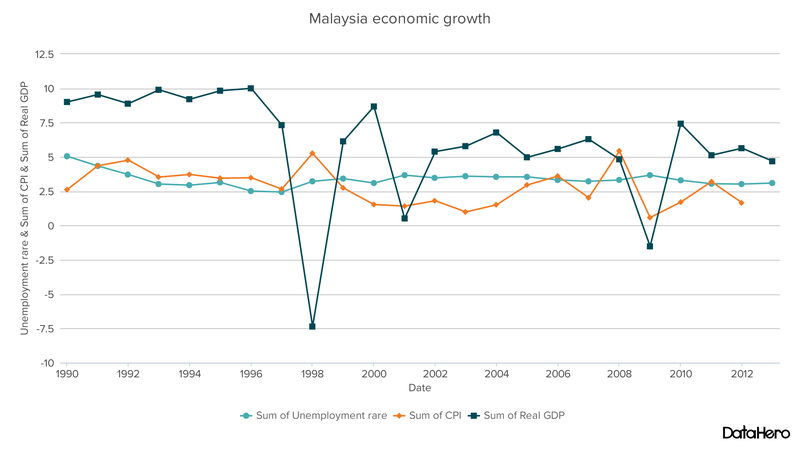 This graph tells us economic growth in Malaysia since 1990. 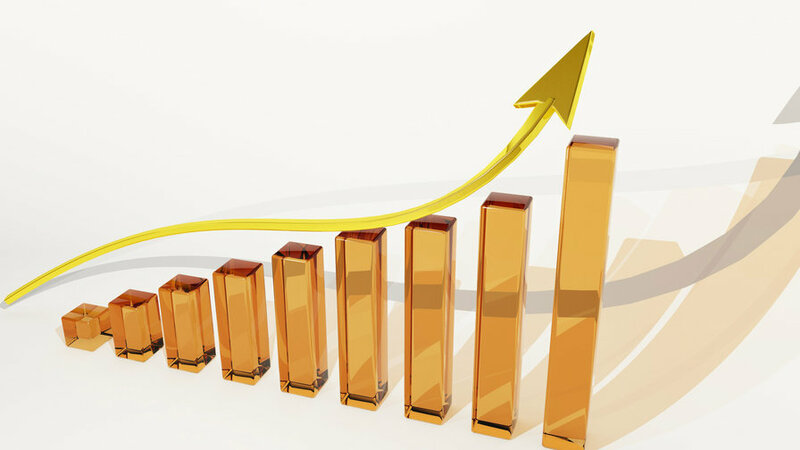 The growth rate is over 5%, except two economic crisis in 1998, 2009 and 2001. The unemployment rate has been around 3%, which is good for the economy. CPI is also around 3% and stable. I can say economic growth without inflation currently is achieved in Malaysia. I would like to compare it to the situation in Japan since 1980. 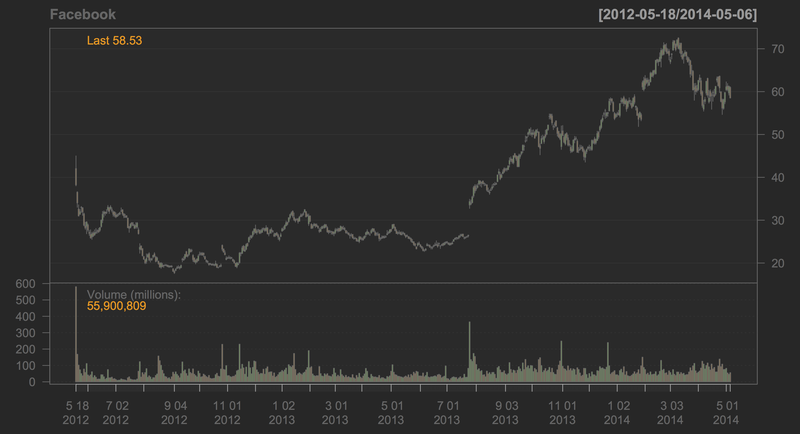 Let us see the graph below. GDP growth peaked out in the late of the 1980s, when the bubble economy was peaked. 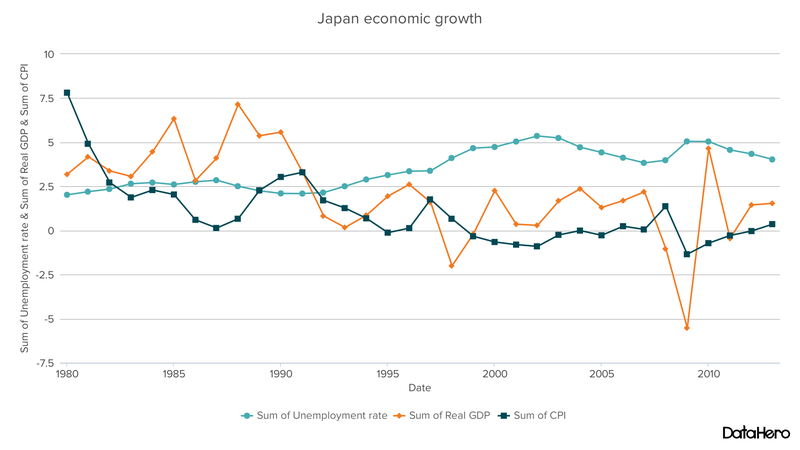 Since 1990, when the bubble burst, Japan has experienced the low economic growth. CPI has been very low and sometimes went to negative as Japan has been in deflation. The unemployment rate has been gradually increasing and peaked over 5%. This period is called “the lost two decades” as Japan has poor economic performances. It is not easy to explain why it happened in Japan. Some economists blamed monetary policy was not so effective enough to recover its economy. Others criticized the fiscal stimulate was too late, too small and too short. I would like to analyze the mechanism of ” lost two decades” going forward in this blog. What an excellent tool ” R ” is ! R language is an incredible statistic tool and have been improved on going. 10 years ago when I tried to exercise data analysis privately at home, I used excel because my PC already had installed Microsoft Office as its initial setting. On the other hand, I used proprietary tools such as MATLAB in the companies where I worked. MATLAB was an excellent tool to analyze data but the problem was its cost to keep them. I could not pay this cost by myself as it was expensive to me, therefore I was forced to use excel in my personal data analysis in my home. There was no choice except that. I wished I would have MATLAB in my PC many times before. Many experts in the financial industry have written books about programming of MATLAB. However, I could not program it by myself at home as no MATLAB environment existed there. So I was very surprised when I saw how R worked three years ago. It can be downloaded without any fee and has the powerful functions in it. I can program freely and store them as my functions. I decided to start learning R. Now that I know how excellent R is and always recommend R for anyone who are interested in statistics and data analytics. 1. R is available without any fee. This is the biggest advantage to proprietary tools, especially for beginners of data analytics. With R, beginners have opportunities to have experience of data analytics by a tool used by professionals. R lowers the barrier to enter the world of data analytics. Many people start data analytics from their curiosity, In such case, it is very difficult to invest a lot of money to own statistical tools. Now there is no need to worry, just go to R-project site and download R. It is easy and available to everyone as long as one has an access to the internet. R is an open source, therefore, it is transparent and you can make your program as you want. When you make excellent programs, you can make your programs available to anyone all over the world through R–project site. If you go to this site, you can find many kinds of programs, which covered from economics, finance to biostatistics. These programs are called “package” and prepared by professionals all over the world and you can look at each code if you want. According to R-project site there are more than five thousand packages and they are still increasing. 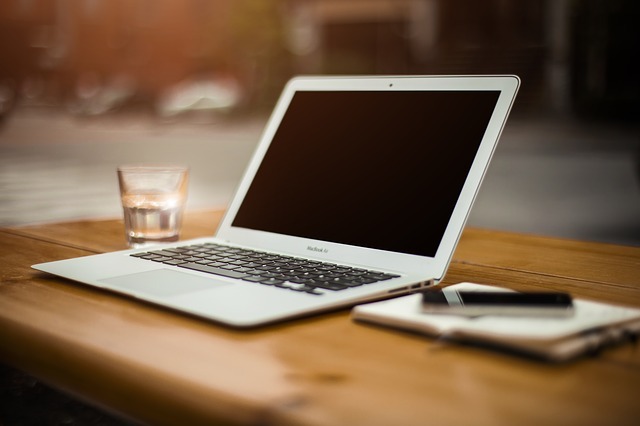 No one knows what the real total number of programs is in R. Fortunately, most programs are available to anyone without any cost. It is wonderful for anyone who are interested in data analytics. 3. There is a lot of information about R on the internet. R is a good tool for learning statistics because there are a lot of tutorials, instructions and documents on the internet. Most of them are free so you do not have to buy books about R. It is one of the reasons why I set up my start up for digital learning of statistical computing. I prepare the introduction course to R. If you are interested in R, you can look at this, of course, without any fee. I drew this chart by R. It is fun to do that. Let’s start R now !